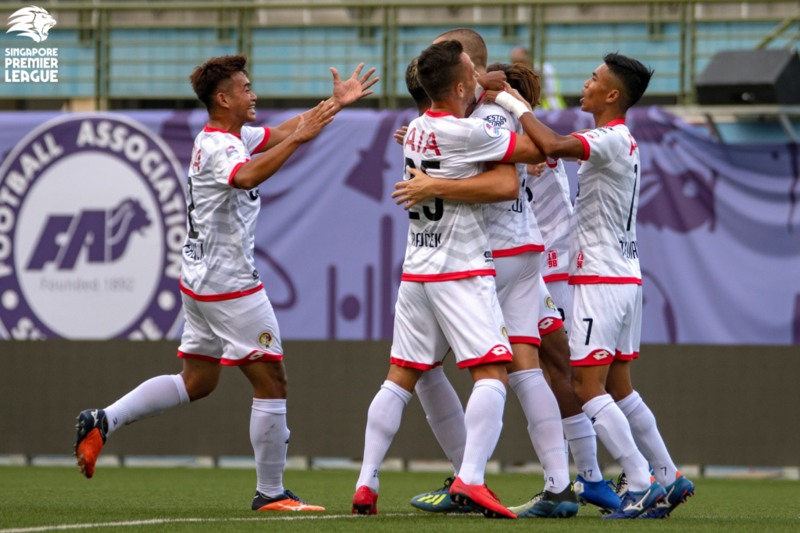 SINGAPORE, 29 MARCH 2019 – Four points from three games may not be an impressive tally but for Balestier Khalsa, it represents their best start to a Singapore Premier League (SPL) season since 2013. It is an admirable feat, considering the upheaval in the coaching department just one month before their 2019 campaign kicked off. The long-serving Marko Kraljevic had already chosen the 2019 squad, but left in late January to take the reins at Malaysia Premier League side Kelantan FA. The Tigers eventually took a gamble on the unproven Khidhir Khamis – the youngest ever Asian Football Confederation (AFC) ‘A’ License-holder in Southeast Asia when he passed at 26 in 2013. The 33-year-old had only previously coached age-group teams at Tanjong Pagar United and Geylang International, but his profile fit the their requirements. “There were five applicants, both local and foreign,” vice-chairman Darwin Jalil told the official SPL website. “We spent about a week going through all of them before deciding on Khidhir. The call came as a “big surprise” for Khidhir, who had a day to make his decision. “I actually did not take Darwin’s call because I was coaching a session,” he recalled. “I gave him a call after that and we arranged a meeting, where he spelled out the things that I had to do. With that, Khidhir became the league’s youngest ever head coach since its inception in 1996. It also left him with less than four weeks to prepare for the new season. Given the time constraint and the existing structure, he decided that evolution was the best way forward for the Tigers. “Marko was here for five years,” Khidhir said. “Apart from the two foreign signings and some new local players, most of the players had played under him so I did not want to change too much, too soon. “Of course, we differ in terms of how we see the game. Set-pieces are still among our weapons, but I’m looking more at our overall game-play. We are looking to play an expansive brand of football and be more proactive, rather than reactive. “You saw (around) 10 to 15 per cent of how we want to play (in our game) against Home (two weeks ago). We had more possession, but were not that effective going forward. The challenge is to get the balance right to win matches. A significant development this year is the introduction of technology, with video analysis and global positioning systems (GPS) being brought in to enhance the players’ knowledge and understanding. A capable backroom staff team comprising former stalwarts Haris Sumri, Rosman Sulaiman and legendary Tampines Rovers defender Sead Muratovic supports Khidhir, who can also count on Darwin and Tigers chairman S Thavaneson. “Sead’s like a mentor and he’s definitely the link between me and the players,” Khidhir said. “With his vast experience, he’s always sharing (knowledge) with the players – especially the defenders on how to approach the game, how to read things. Slowly but surely, the Khidhir effect is growing on the players. “It’s great that we get to learn this new and modern playing style under him,” said captain Zaiful Nizam, who is into his seventh season with Balestier. New recruit Illyas Lee, who was enticed by the ambition of the club, noted Khidhir’s attention to detail. While Khidhir is enjoying his time so far, he is well aware football is a result-oriented business. “There’s no point if we play good football but don’t receive the wins,” he said. “If there are times that we have to play for a result, we will do it. 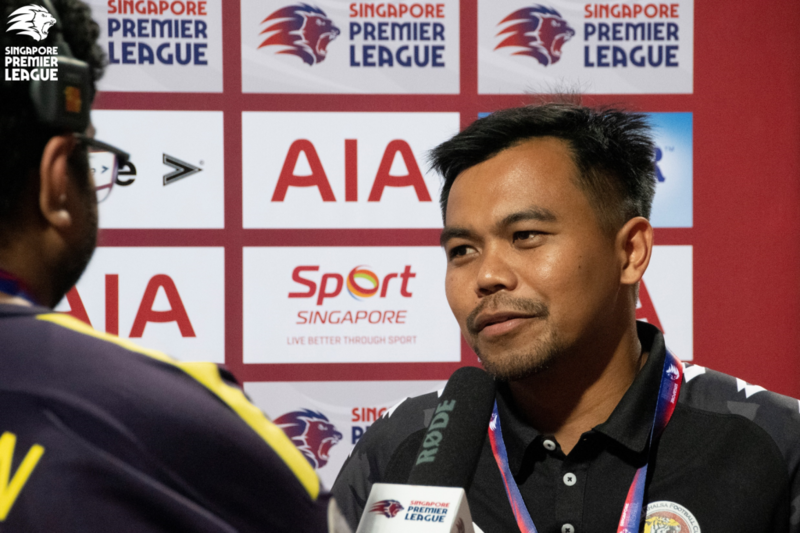 The Tigers are targeting a first top-four finish since 2015 and aim to mount a serious challenge for the Singapore Cup – their last domestic trophy (2014) – and Khidhir is bullish about meeting the challenge. Balestier take on Geylang this Sunday – check out our preview here!